It's the end of another month and that means it's time for a look back at the Silhouette CAMEO (and Portrait and Curio and Mint) tutorials you missed while enjoying the last days of summer and the first days of fall. September was a huge month for Silhouette School! We hit 50,000 almost 52,000 Facebook followers and celebrate with a giveaway like no other - thank you for all 80,000+ entries!! We also shared a whole slew of free cut files from a CAMEO2 control panel template to a chalkboard printable. 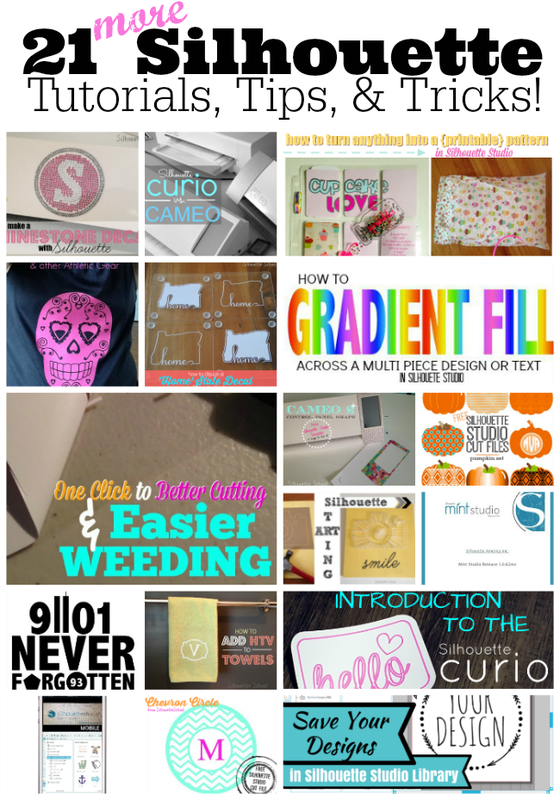 If you're a new Curio users there's a 101 tutorial for you and details on how to cut stencils for cookies with Silhouette. And always there was a whole bunch of project inspiration from string art to 3D swinging doors...so be sure you don't miss a thing and check out all of these Silhouette School tutorials!